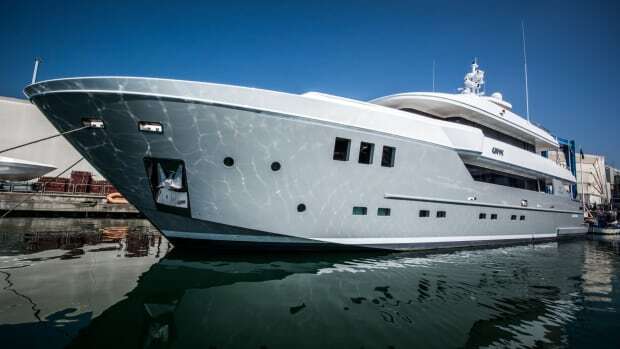 Tankoa's new 236-footer, Solo, made her international debut at the Monaco Yacht Show. Here's what we know. 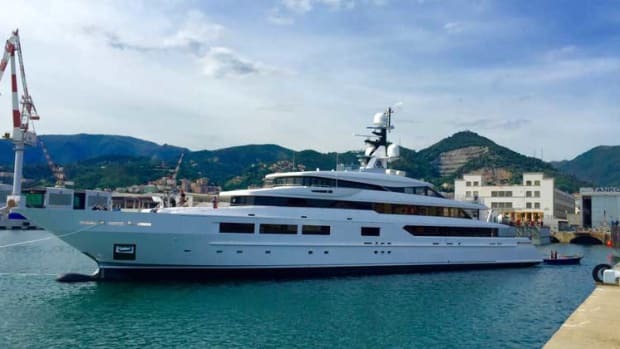 The first photos have surfaced of the 236-foot (72m) Tankoa Solo, which made her international debut at the Monaco Yacht Show prior to a scheduled November delivery date to her owner. 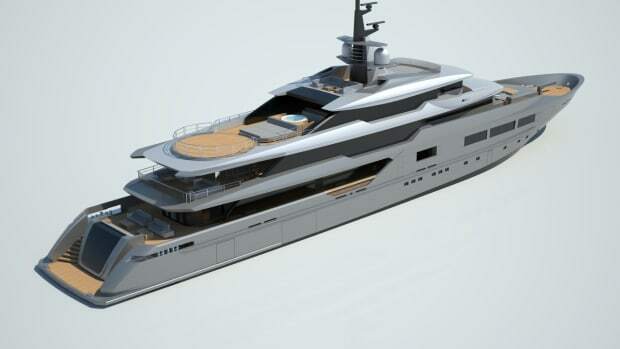 Exterior design is by Francesco Paszkowski, naval architecture is by Professor Ruggiero, and interior design is by Francesco Paszkowski and Margherita Casprini. Having completed intensive sea trials over the last six weeks Solo has proven a technical success for Tankoa, most notably in terms of efficiency. After the Monaco show, Solo will return to Genova for her final detailing, fine-tuning and handover to her owner. She will make her maiden voyage across the Atlantic to spend the winter season in the Caribbean, Latin America and the Bahamas. 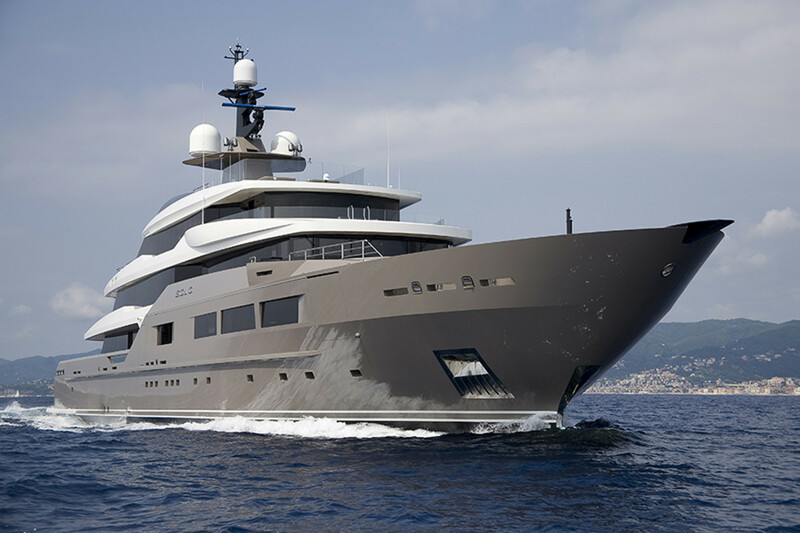 Solo&apos;s striking exterior lines are by Francesco Paszkowski, with interior by Paszkowski’s interior lead designer Margherita Casprini, and hull design by Professor Ruggiero. 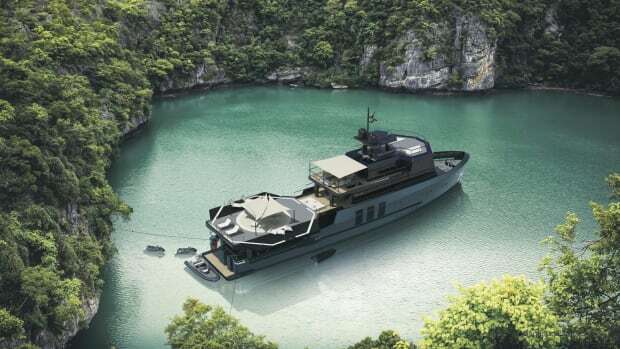 Regarded as a highly efficient yacht, Solo is reported to be high-tech, eco-friendly and well-equipped. 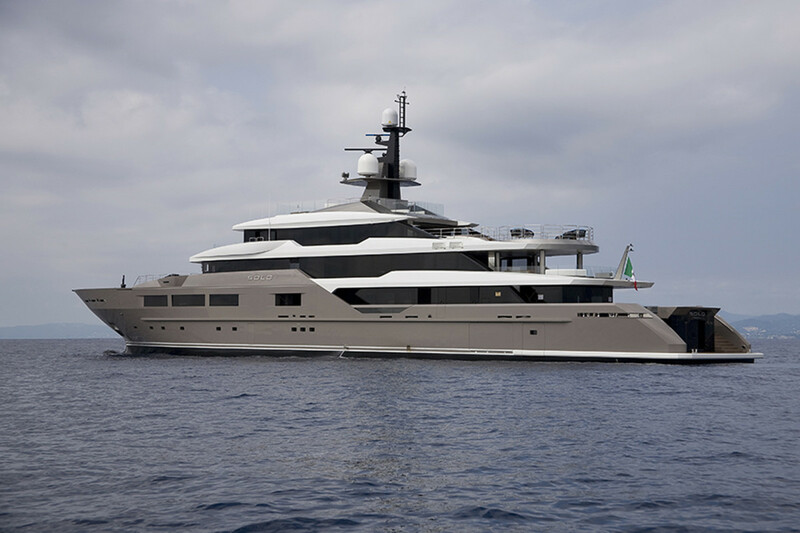 Like all yachts in the Tankoa range, Solo comes with independent rudder systems, in her case from Rolls Royce, allowing maneuvering in tight situations supported by a 200-kW Naiad hydraulic bow thruster. 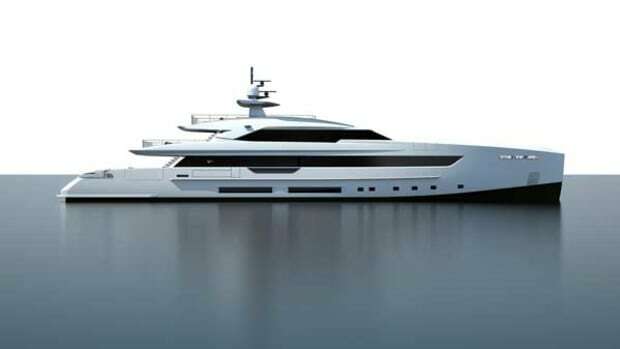 The three Northern Lights generators (2 x 230 kW, 1 x 155 kW), are equipped with HUG soot burners to eliminate the usual black smoke stain on the sides of the hull and allow guests to enjoy all of the exterior aft decks as well as the beach club and open terraces with no odors other than the sea and fresh air. The main engines are equipped with Eco Spray SCR (Selective Catalytic Reduction), significantly reducing emissions. 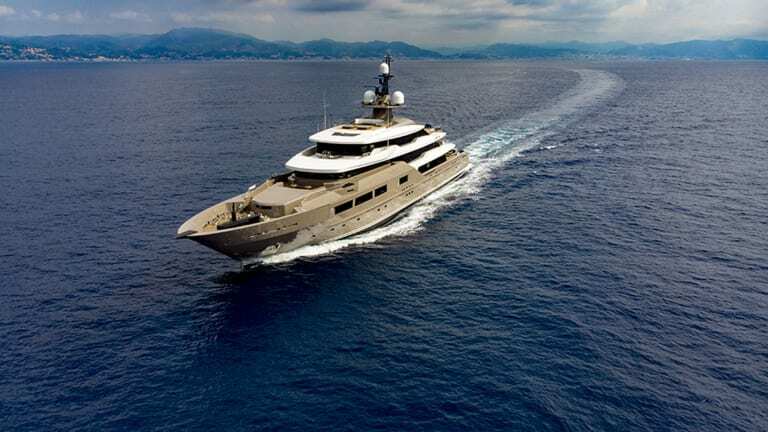 The yacht is also equipped with a CO monitoring system, which allows the captain to best achieve a "sweet spot" in terms of speed to keep emissions at a minimum. 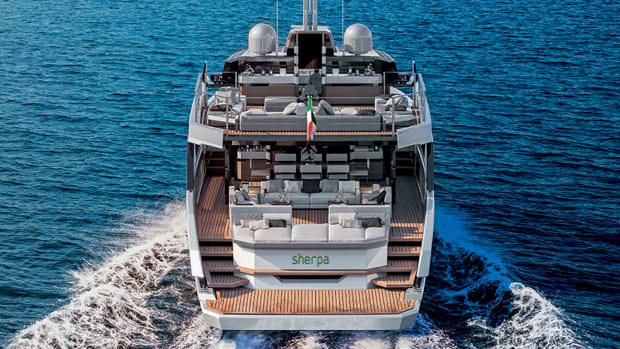 The yacht is delivered with an Environmental Management Plan (EMP) manual. For enhanced safety and comfort, Solo is equipped with redundant equipment, including two independent stabilizer power packs powering the four zero-speed fin stabilizers. Solo is classed to both Lloyds and RINA, with a paperless bridge certificate. The wheelhouse is also equipped with a semi-integrated Boening console. 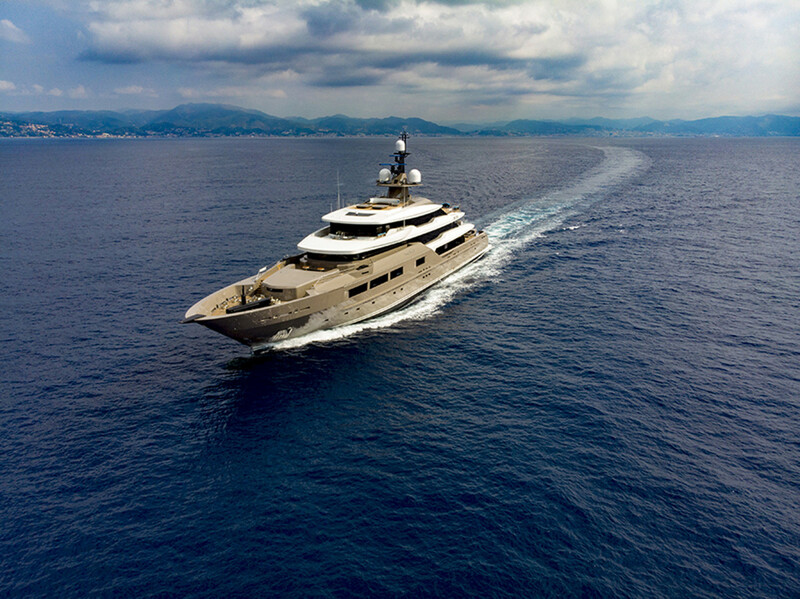 Solo can accommodate up to 12 guests in 6 cabins, including a master suite on the private owner&apos;s deck, and a VIP suite and four doubles (two of them convertible into twins) located on the main deck to ensure minimal noise. The hair dressing/massage room and the owner’s study can also be converted into additional cabins, as both are equipped with an ensuite bathroom. The VIP and guest cabins offer panoramic sea views, thanks to unusually large windows. The beach club, a standout feature aboard Solo, is equipped with sofas, a bar, a TV, a bathroom and an large glass-walled gym (by Technogym) with a fold-out terrace directly accessible to the spa. The spa facilities include a sauna, also fitted with its own fold-out terrace, a hammam and a chilled-water shower. The upper deck houses the paperless semi-integrated Boëning bridge with radio room, comfortable captain’s cabin and a hair dressing/massage room that can be converted into an additional cabin for a bodyguard or an officer. The aft section of this deck features an enormous observation lounge with almost floor-to-ceiling windows, a 90-inch 4K QLED TV screen, a baby grand piano, a bar and a bio-ethanol fireplace. The owner’s suite includes an owner’s study/media room. The island bed is surrounded by full-height glazing with 180-degree views, an overhead skylight and direct access to two intimate outdoor terraces, shaded sun pads and a Bisazza mosaic-tiled, glass-walled Jacuzzi. 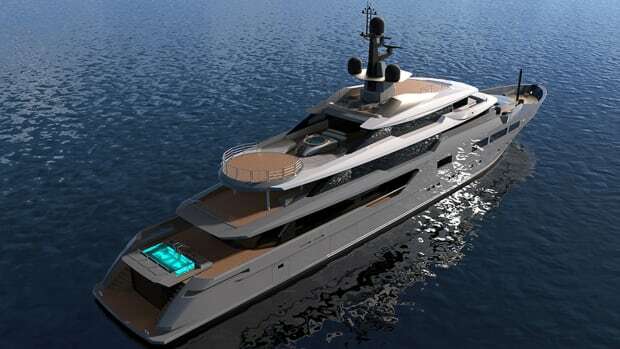 The owner will be able to arrive in style using the touch-and-go helideck aft (with a 4.5-ton certification, sufficient for most twin turbine helicopters, such as an Augusta 109) and has his own Jacuzzi, bar, salon, outdoor breakfast corner and day head with shower. On the same deck, the owner can enjoy his own private TV room, also convertible to an additional ensuite cabin. 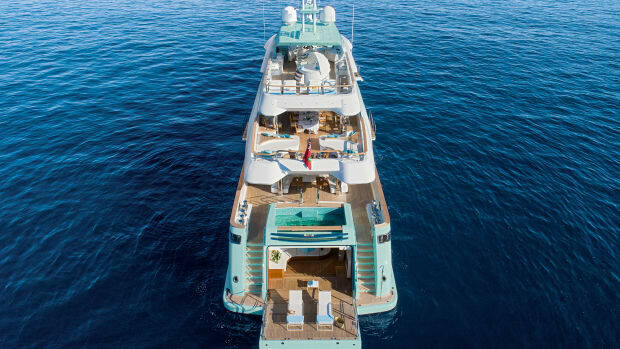 The aft deck is equipped with a six-meter transversal swimming pool, sofas and a pop-up TV screen recessed into the ceiling to turn the entire space into an outdoor cinema. Forward of the winter garden and reception desk/bar, the main deck houses a cinema lounge/library that can be enclosed by an electric sliding glass panel, the dining room with a table for 16, and a stabilized fish tank. The cut-down bulwarks with laminated glass panels allow for sea views while having dinner. The under lower deck is devoted to a laundry room, a pump room, stowage, garbage, freezers, air conditioning units and technical spaces. 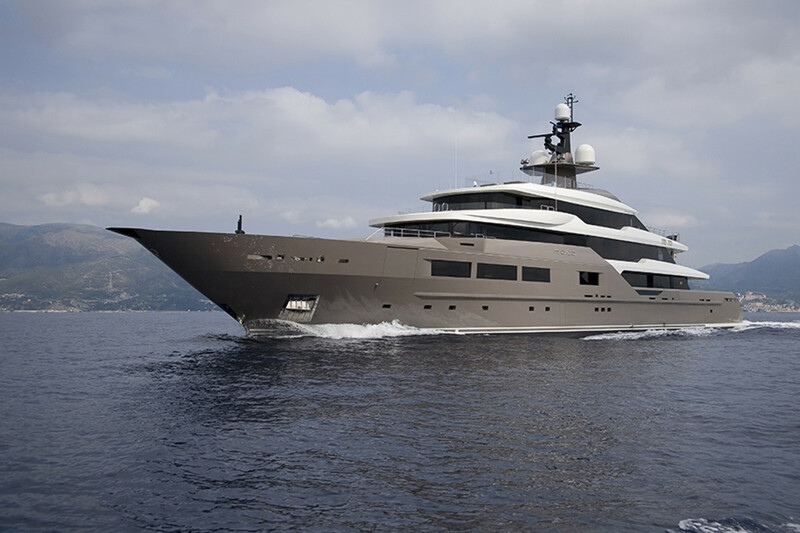 The central tender bay houses two custom-made 7.5-meter luxury tenders and extensive diving equipment. 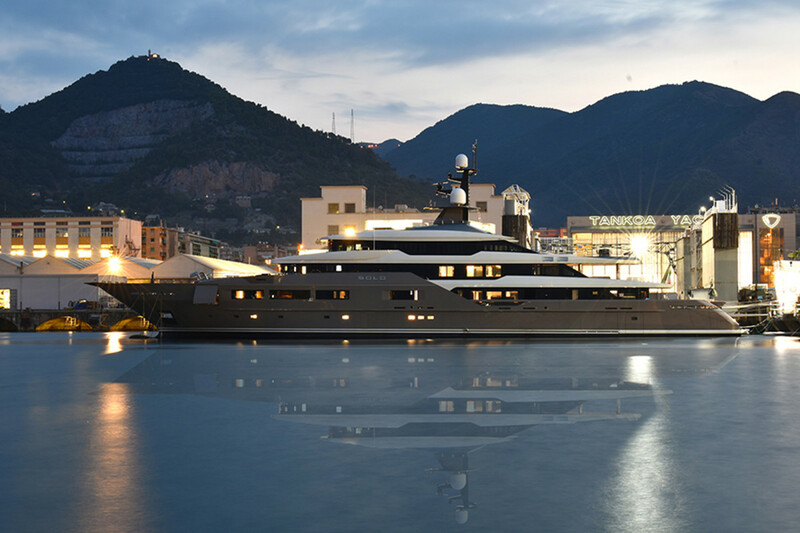 The expanse of the yacht&apos;s toys are stored in the forward side garages. 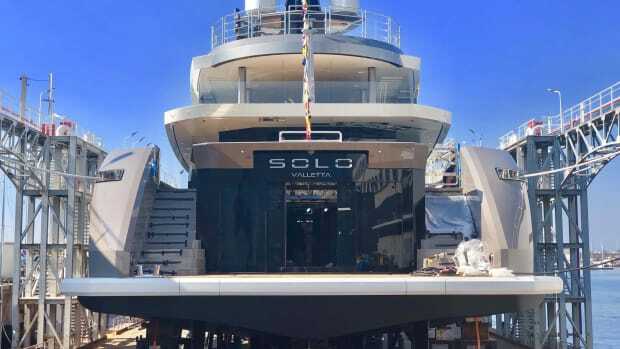 "Solo’s extra length compared to Suerte, the 69.40-meter yacht delivered three years ago on the same technical platform, meant that more space could be devoted to the exterior and interior areas, increasing the already generous volumes of key features such as the beach club, winter garden and the guest spaces on the upper deck. Lowering the hull bulwarks on the main deck further meant that the sea views from the main salon could be improved. 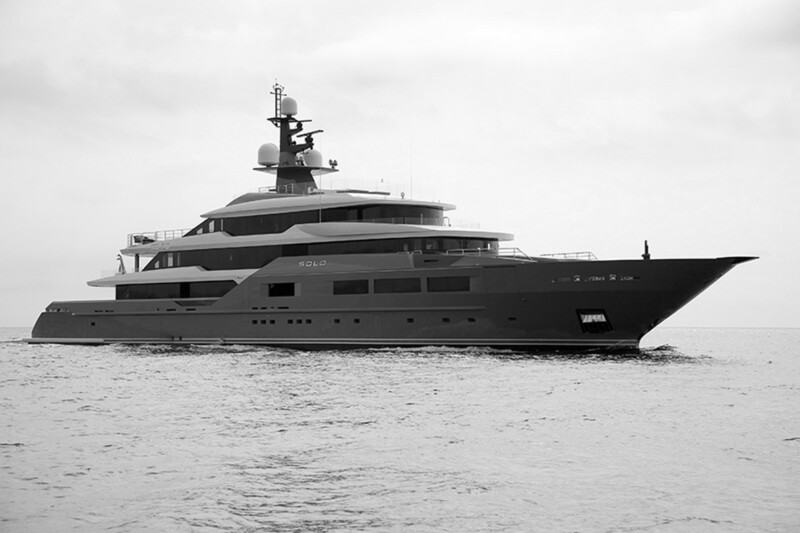 "The yacht was designed for both private use and charter purposes as requested by the owner. This required continuity between the various social spaces, a precise but flexible division according to use, good communication between the exterior and interior, and the rigorous use of architectural principles. 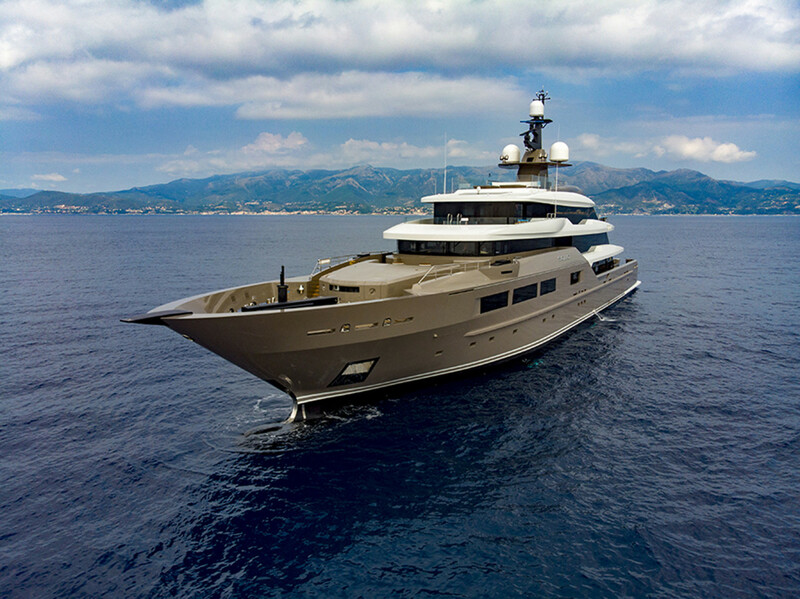 "The lower deck is devoted to crew accommodations and services, including the pro-spec galley. There are also port side pantries on the main deck and upper decks to provide swift and efficient service on every deck level. Naturally, the crew circulation is entirely separate from the guest areas. Other highlights include: Forest Black Antique marble from France, Cappuccino marble from Rajasthan, Striato Elegante Honed marble from India, and Pure White Onyx from Mexico; interior sofas, chairs and armchairs by Fendi Casa; Walls made of distressed oak sourced from a 300-year-old farm in Norway; Hammam marble (Calacatta) from Tuscany; and sauna wood sourced from a medieval castle in Finland. Length: 72 meters; Beam: 11.6 meters; Gross tonnage: 1,600; Displacement: 1,120 tons (half load), 1,240 tons (full load); Engines: 2 x Caterpillar 3516B; Max speed: 17.5 knots (3,000 nm range); Efficiency speed: 10 knots (7,000 nm range); Cruising speed: 15.7 knots (4,000 nm range).